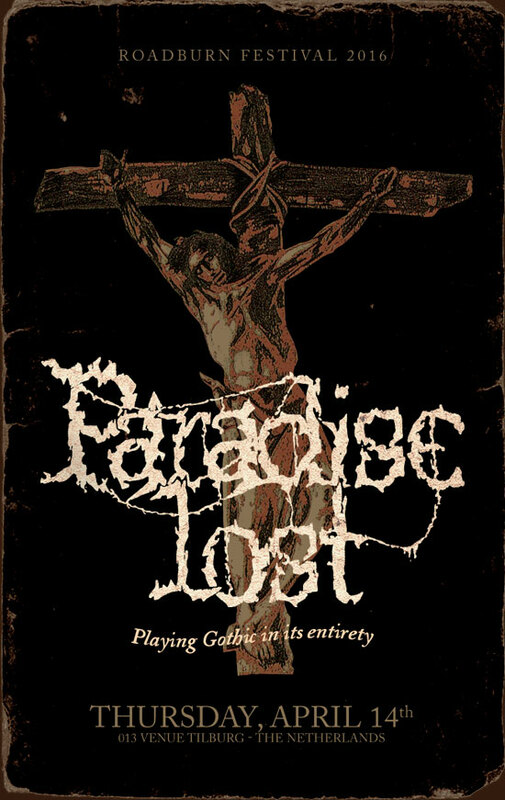 Pioneering Yorkshire doom legends Paradise Lost will headline Roadburn Festival 2016 on Thursday 14 April 2016 playing their highly influential second album, Gothic, in celebration of its 25th anniversary. The band will play their masterpiece from start to finish, alongside tracks from their latest album, The Plague Within. Leaders of the doom metal scene for over twenty five years, Paradise Lost have kept their dank and dark take on the genre incredibly fresh with their latest album, The Plague Within. Released on Century Media, The Plague Within marks a majestic return to Paradise Lost‘s innovative origins, recalling the melancholic heaviness of the band’s seminal second album, Gothic. Renowned Romanian artist, Costin Chioreanu will be providing bespoke animated visuals to accompany Paradise Lost‘s Roadburn set. Gothic has influenced – and will continue to influence – many generations of musicians, and creatives. The album has not only opened the door for all things Roadburn – whether it’s their aesthetics, or many a doom band gracing our stages – it’s also the cult-album that almost single handed paved the way for many (doom) metal bands incorporating melancholy and melody with heavier, captivating sounds. Paradise Lost will be playing The Netherlands this year as part of their European tour in support of The Plague Within. They will play Tivoli, Utrecht on October 7. Roadburn Festival takes place between 14 – 17 April 2016 at the 013 venue, in Tilburg, The Netherlands. Ticket announcements will follow in due course.